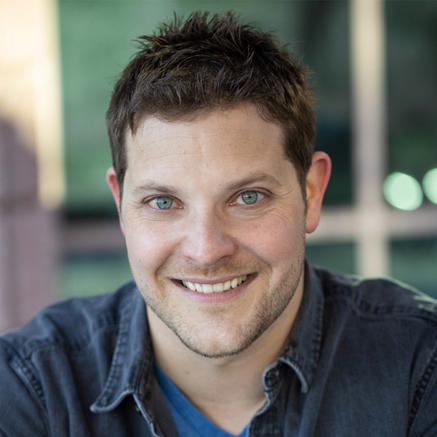 Ultracon is proud to add Jeremy Palko from The Walking Dead to the festivities! Ultracon is proud to announce the newest guest to the roster, Jeremy Palko. Jeremy Palko is an American actor in film and television. He was born in LaGrange, GA and moved to Washington State at the age of 5. Jeremy grew up in Puyallup, WA where he attended Rogers High School. A graduate of the University of Washington in Seattle, Jeremy had his first experience in the theater after a knee injury sidelined him from collegiate sports. Jeremy found his first speaking role in the film Never Back Down. 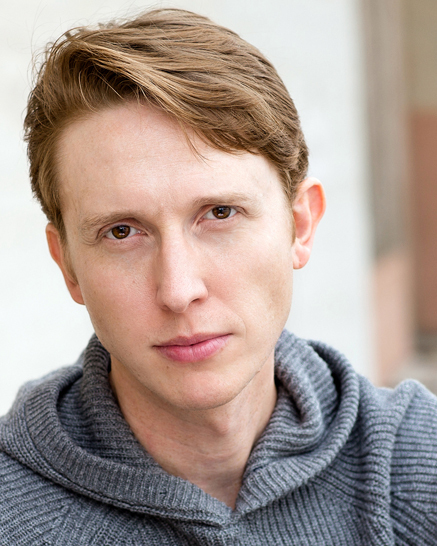 Jeremy has since gone on to play numerous parts in such television shows as The Vampire Diaries, Are We There Yet?, Burn Notice, The Middle, and Sleepy Hollow. 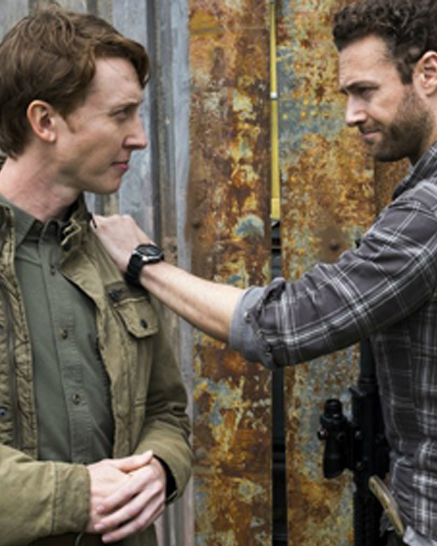 Most recently, Jeremy can be found on the Emmy Nominated show Bloodline, as Nicholas Widmark and Andy on AMC's The Walking Dead. 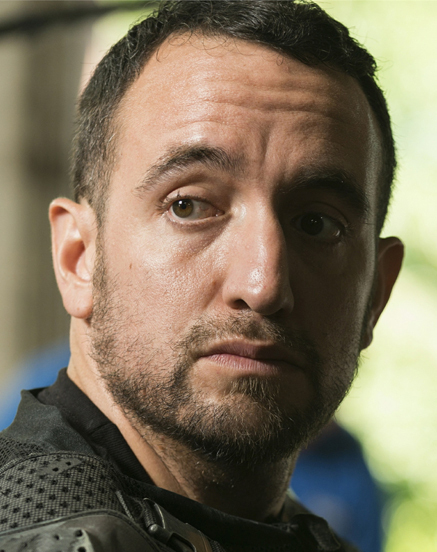 We are ecstatic to welcome Carlos Navarro from The Walking Dead to the event! 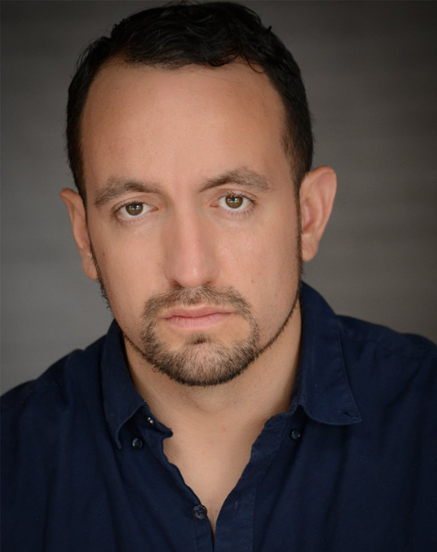 Ultracon is proud to announce the newest guest to the roster, Carlos Navarro. Carlos was born in Queens New York to a Peruvian Father and Cuban mother. 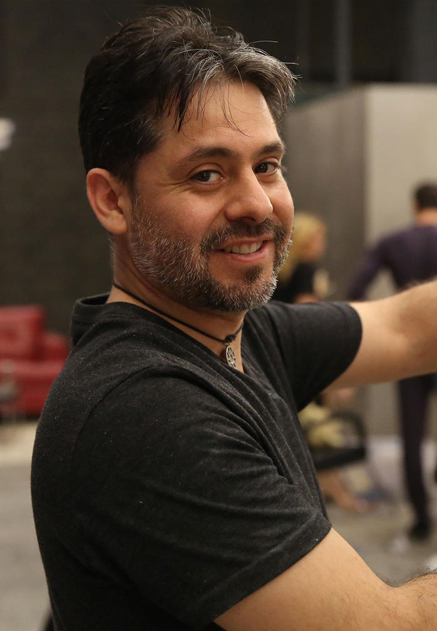 Carlos has performed in over 2 dozen national commercials, and numerous TV shows and films as well as voice over work on multiple video games. He is comfortable in front and behind the camera. He started in the production side and began to take acting classes to get a better feel for what actors did. After his first class he was hooked on acting, but continues to edit, write and shoot his own projects as well. He is a happily married man and a father of a beautiful baby girl. Current member of the Monsters of the Morning on WTKS Real Radio 104.1 FM and Nationwide on the I heart Radio app. He was the Florida Lottery spokesperson playing the part of the LSC (Lottery Shopping Channel) as Kevin Sanchez in all of the TV and Radio commercials. He is one of the few comedians that can perform his stand up comedy act fluently in English and in Spanish. Met Director Durden Godfrey during a scene with The Monsters In The Morning for an independent feature film called Tomorrow Mourning. And then ended up playing a coke dealer in the film. We are very proud to annouce CAS as Ultracon's official sponsor!!! 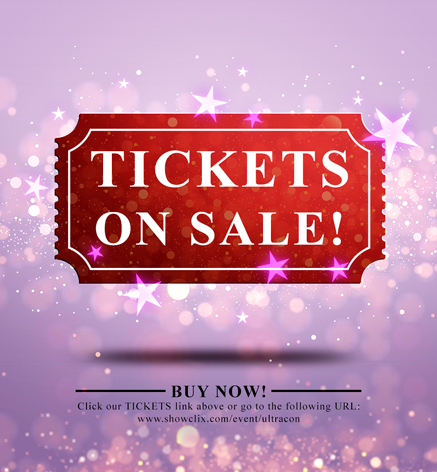 Ultracon Announcement: Tickets Now On Sale!!! Order your tickets to Ultracon Of South Florida now! Weekend tickets are $45, Friday tickets are $15, Saturday tickets are $25, Sunday tickets are $20. Kids aged 10 & under are free with the purchase of an adult ticket. Tickets purchased at the door will be $5 more per ticket. In addition to the savings, advanced VIP ticket holders will be able to enter the exhibit floor an hour early each day. *Times are EDT. After parties to be determined. 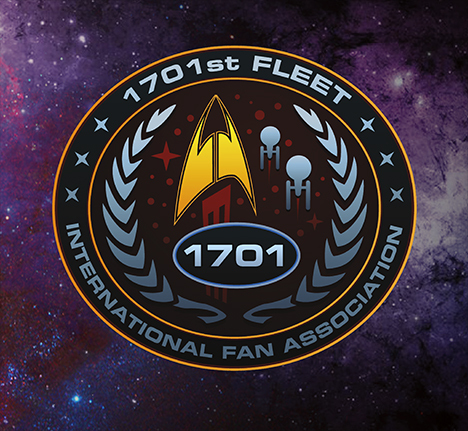 Ultracon welcomes The 1701st Fleet interntional fan association, Star Trek based costuming fan group in which people of diverse backgrounds with and interest in Star Trek can interact socially and recreationally. 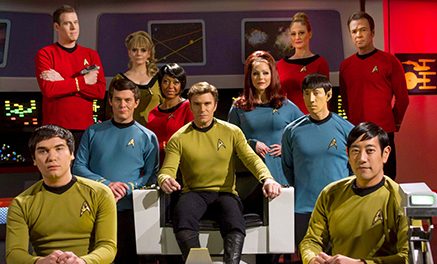 By representing the fictional Star Trek universe, we will pool our efforts and collective talents to assist in various charitable works in an effort to promote the late Gene Roddenberry’s dream of the best for all of humanity. 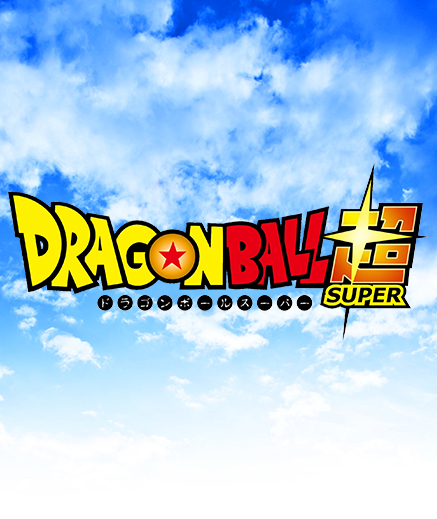 DBS COSPLAY CONTEST! If you win... just promise you won't destroy the earth, k?! 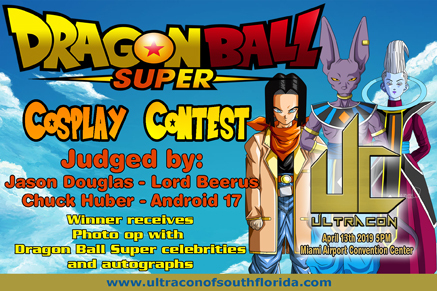 Contest will be judged by Jason Douglas-Lord Beerus, Chuck Huber-Android 17. 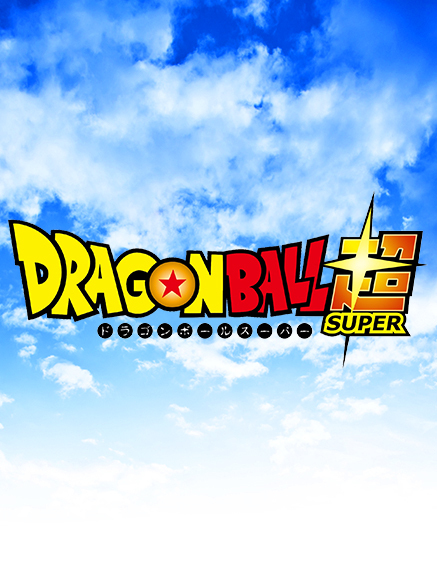 Winner receives photo op with Dragon Ball Super celebrities and autographs. KA-POW!! 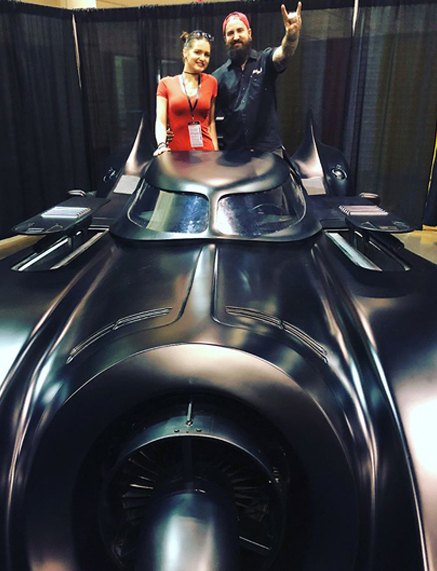 Broward Batman and The Battlemobile! Who wants their picture taken?! 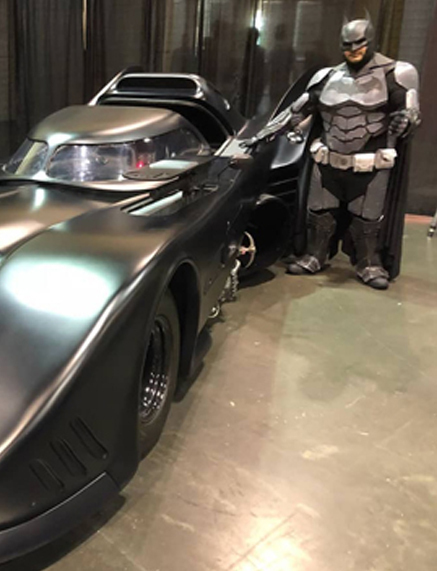 Photo ops will be a available with Broward Batman and The Battlemobile. Proceeds will be benefiting the charity 4kidsinneed.org. 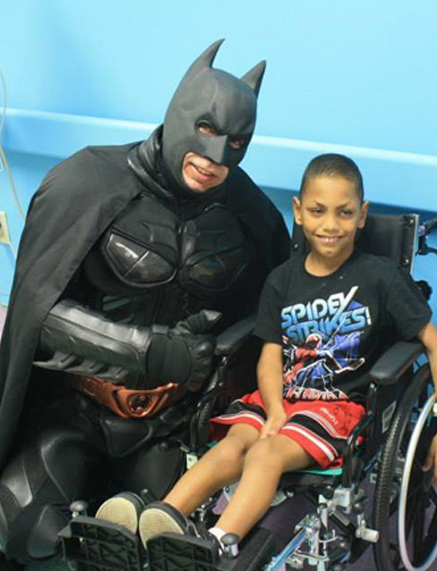 4 Kids in need are heroes with a real purpose. 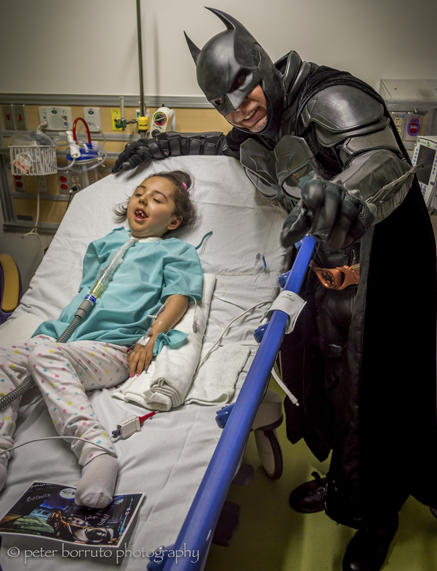 With a selection of several characters they visit local Children's hospitals and orphanages to bring a smile to children in need. "If you can contribute to others, no matter how small your talent, you too can become successful. The measure of anyone is the number of people that they serve. Service to others is the essence of success. No one achieves success without being of service. All great men and women became successful because they gave some talent or ability in the service of others. Everybody has to be somebody to somebody to be anybody." We've now added Jason Douglas! 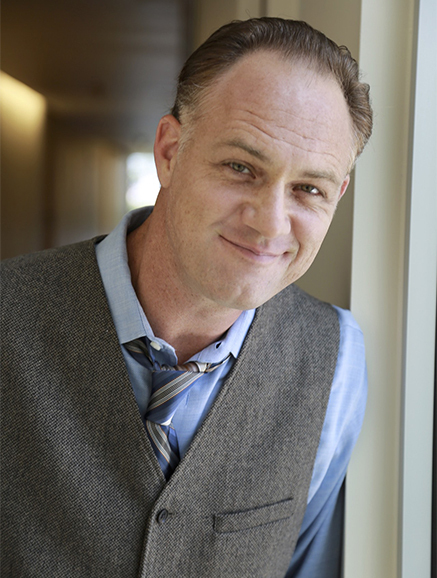 Jason Douglas appears as ‘SATAN’ on AMC’s hit comic book adaptation PREACHER,and recently wrapped four seasons as Alexandrian everyman 'Tobin' on AMC's worldwide phenomenon THE WALKING DEAD with one of the show’s most terrifying walker-turns. 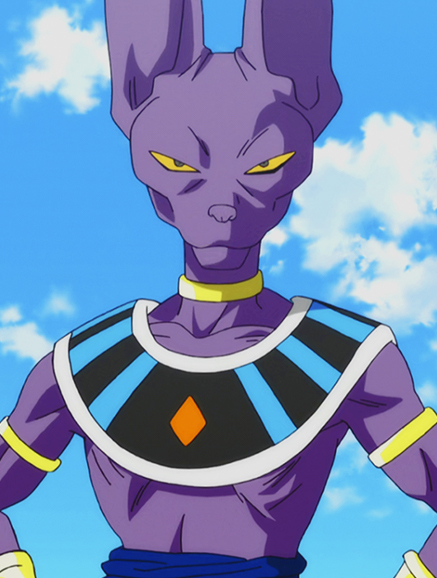 Jason is equally well-known for his work with FUNimation as the English voice of 'Beerus the Destroyer' in the Dragon Ball franchise, including the upcoming feature DRAGON BALL SUPER: BROLY. 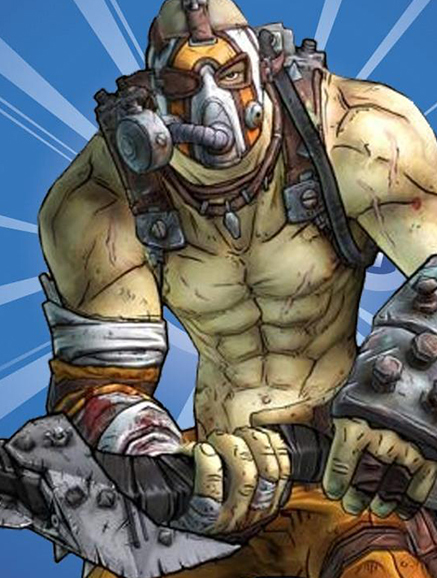 He's also the voice of gamer-favorite 'Krieg the Psycho' in the perennial hit BORDERLANDS 2 from Gearbox. Breaking Bad fans may remember Jason as 'Detective Munn' from seasons 4 and 5, and he's been a recurring guest-star on ABC's Nashville, NBC's Revolution, and El Rey Network's From Dusk Til Dawn: The Series. 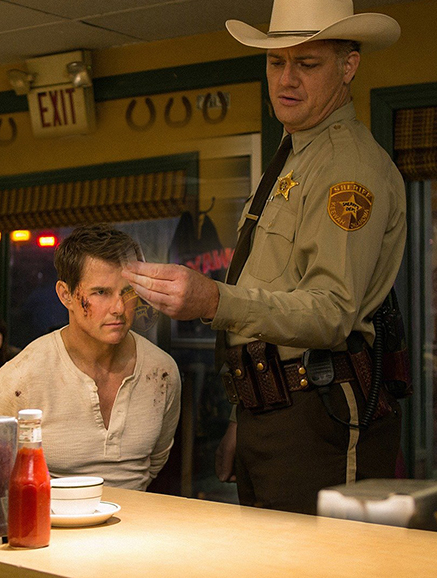 Feature film appearances include Sin City, A Scanner Darkly, Machete, Snitch, Jack Reacher 2: Never Go Back, and the Coen Brothers' Best Picture, No Country for Old Men. 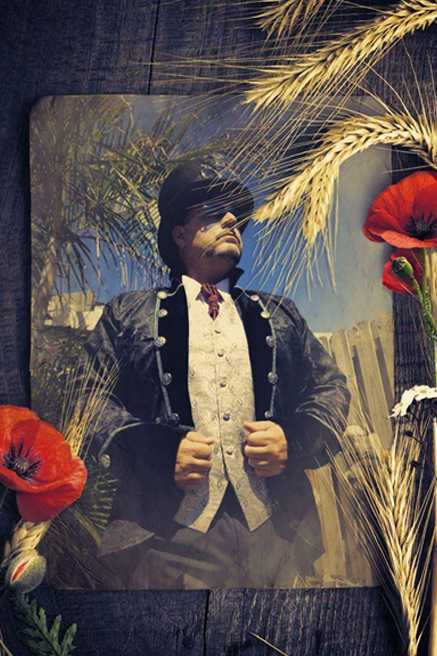 An award-winning voice actor with FUNimation, Sentai Filmworks, Rooster Teeth, and the former ADV Films, Jason has voiced hundreds of lead and supporting characters in some of Anime’s most iconic titles, including Attack on Titan (Miche), One Piece (Aokiji), RWBY (Jacques Schnee), Fullmetal Alchemist: Brotherhood (Miles), Fairy Tail (Gildarts), Black Butler 2 (Claude), Deadman Wonderland (Azuma), Psycho Pass (Masaoka), Grimoire of Zero (Mercenary), and Gangsta (Galahad). 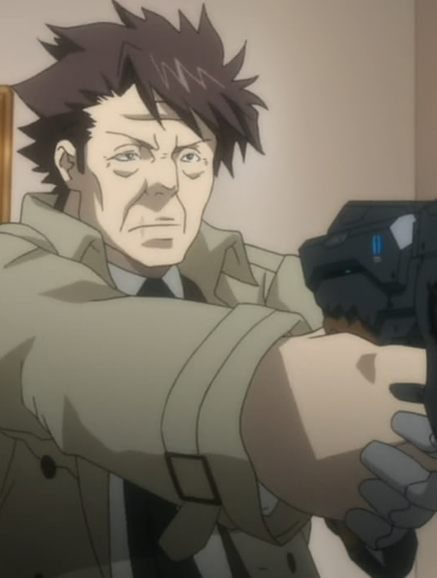 Other fan-favorite roles include Parasyte: the Maxim (Gotou), Bubblegum Crisis: Tokyo 2040 (Leon), Elfen Lied (Bandoh), Excel Saga (Il Palazzo), Dirty Pair Flash (Touma), Wandaba Style (Hanagata), Mezzo DSA (Harada), Rune Soldier (Louie), Magical Shopping Arcade Abenobashi (Ms. Aki), Sorcerer Hunters (Marron), Supergals! (Tatsuki), Azumanga Daioh (Chiyo-Dad) and Gravion (Sandman). Proud to announce Chuck Huber will be joining us! 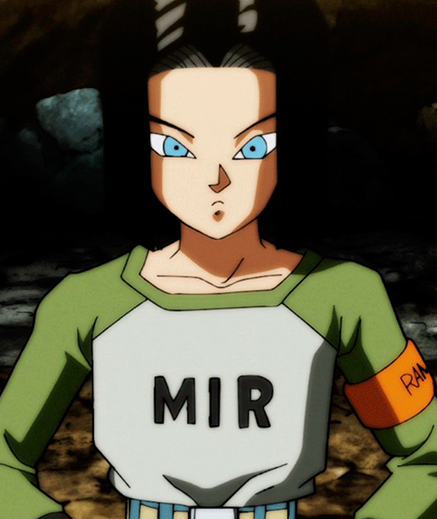 Charles Cody "Chuck" Huber (born May 8, 1971) is an American voice actor, ADR director and ADR script writer primarily known for his work for Funimation and OkraTron 5000. 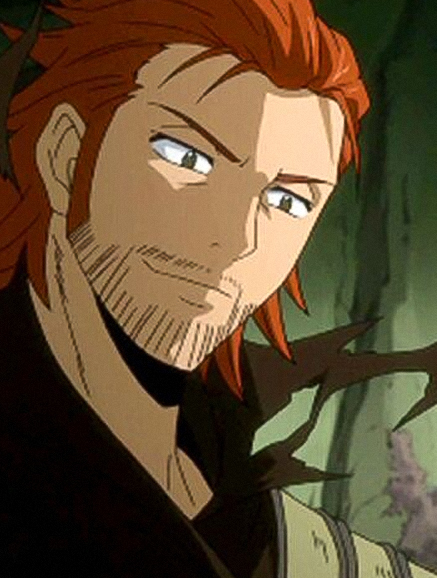 He has provided numerous voices for Japanese anime series and video games. 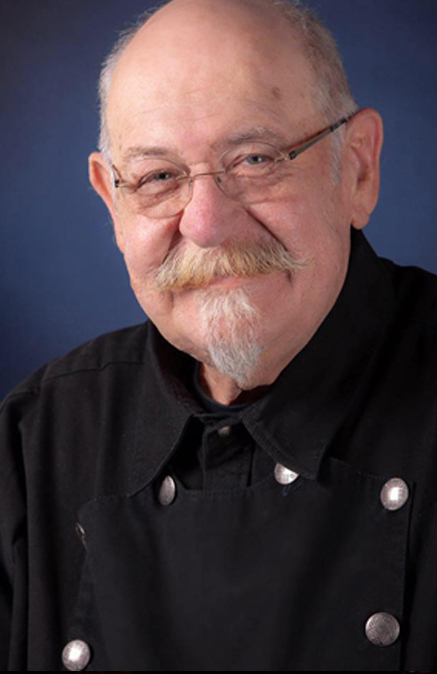 He is best known for his anime dub roles of Hiei from Yu Yu Hakusho, Dr. Franken Stein from Soul Eater, and Android 17 and Pilaf from Dragon Ball Z.
Huber has also been a TV, film and stage actor in over 20 years, most notably at Chicago’s Steppenwolf and Goodman Theaters; as the Director/Writer of Arbor Day - The Musical; as a producer, co-writer and co-star of the bi-lingual feature Fragility of Seconds, which took the top prize at the Houston International Film Festival; and in guest starring roles on NBC, FOX, CBS dramas. Huber is a Stage West board member. Huber has also worked in the education field as a workshop leader, teacher and principal for 20 years in a variety of settings from Southern Methodist University's Cox School of Business to communities in Owerri, Nigeria; as a founder, consultant or board member for five different schools, and as an author of numerous articles for education periodicals, children's books, plays and screenplays. We've got Ron Rudat! And knowing is half the battle! Ron graduated from the Vesper George School of Art in 1971. Straight out of school, he went to work for Hasbro. Ron worked as an illustrator in Hasbro's art department from 1971-1978, illustrating accessories, instructional drawings, and retouch art. In 1978 he was transferred to Research and Development (R&D), where they develop ideas for new toys. Meanwhile,the 12" G.I. Joes of the 60's and 70's were canceled in the mid 70's, and after a brief reboot from 1977-1978, G.I. Joe sat dormant for several years. Behind the scenes, Bob Prupis (VP of Boys Toys) was working hard to revive G.I. Joe. Ron joined these efforts in 1980, and the top secret relaunch codenamed “Operation Blast Off” was underway. After significant market research it was determined that G.I. Joe's best chance at profitability was to be scaled down to 3 3/4 inches. Ron was charged with designing the new smaller figures. 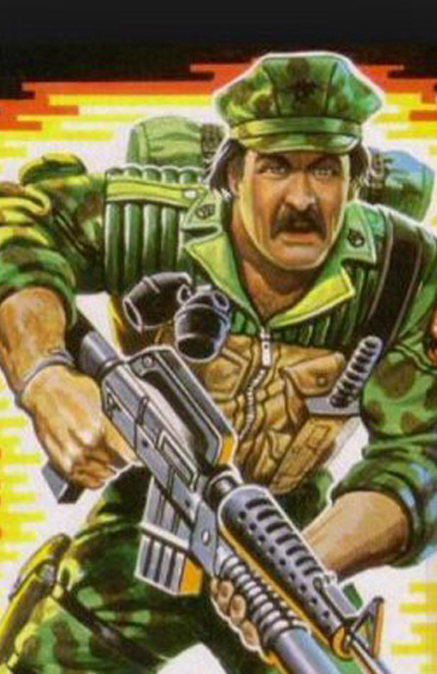 Ron designed every single figure from the inception of A Real American Hero through the mid 80's, even though to this day he'll tell you he "wasn't a figure guy." Ultracon is proud to announce Jordan Woods-Robinson! 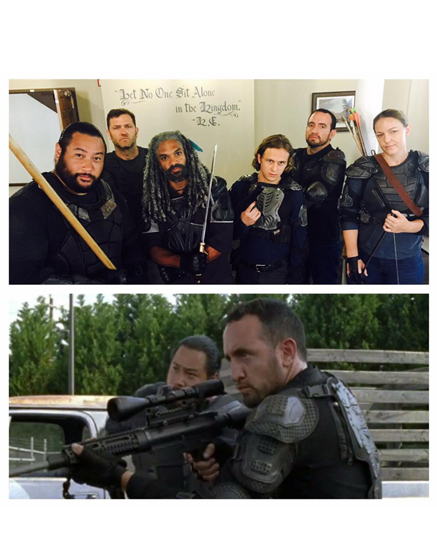 Jordan Woods-Robinson is an American actor, best known as the role of Eric in The Walking Dead and as a member of the prestigious Blue Man Group. Jordan was born and raised in Bybee, Tennessee on a 180-acre animal rescue farm. After moving to New York City to pursue acting, he graduated from New York University's Tisch School of the Arts with honors in Theatre. Within weeks of graduation, Jordan was cast in his first professional role as a Blue Man and has traveled the world performing with the show. Based in the Southeast, Jordan's first feature film was Scare Zone, in which he played the unassuming Geek #2, who later presents the main twist of the movie. Since then, Jordan has had the privilege to work with Sir Anthony Hopkins, Colin Farrell, Donald Sutherland, Andrew Lincoln, Norman Reedus, Octavia Spencer, Gabriel Byrne and James Brolin. 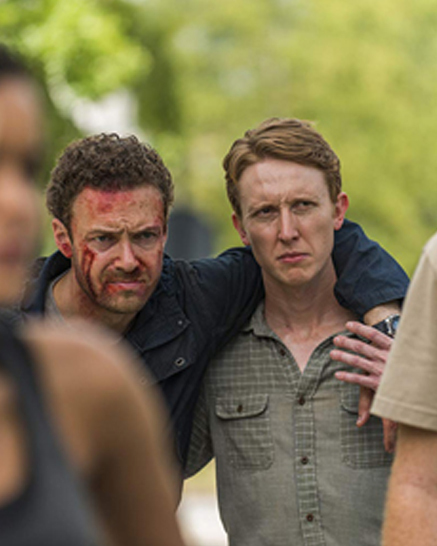 In 2014, Jordan joined the cast of the The Walking Dead playing the recurring role of Eric, a scout and tracker in Alexandria. 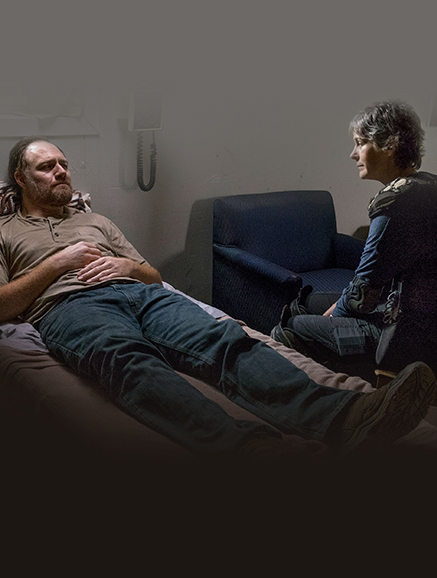 Shooting in Atlanta, The Walking Dead is one of the most-watched shows in Cable-TV history, with 17.3 million households tuning in to the 1st episode of the 5th Season. Aside from acting, Jordan is also a musician, songwriter, and co-founder of SOSstudio.co, an online recording company networking musicians, vocalists, and engineers around the world. Jordan lives in Orlando, Florida with his wife and two beautiful children. 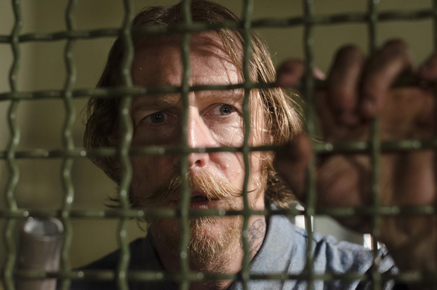 Lew Temple joins Ultracon's guest list! 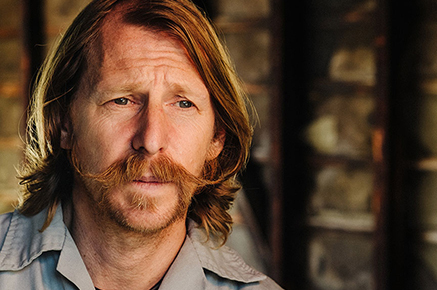 Lew Temple was born October 2, 1967 and is an American film actor, perhaps best known for his roles as Axel on "The Walking Dead," the character of Ned Oldham in the action adventure thriller, "Unstoppable" which also starred Denzel Washington, Chris Pine and Rosario Dawson; directed by Tony Scott, and Cal the diner manager in the comedy-drama "Waitress." 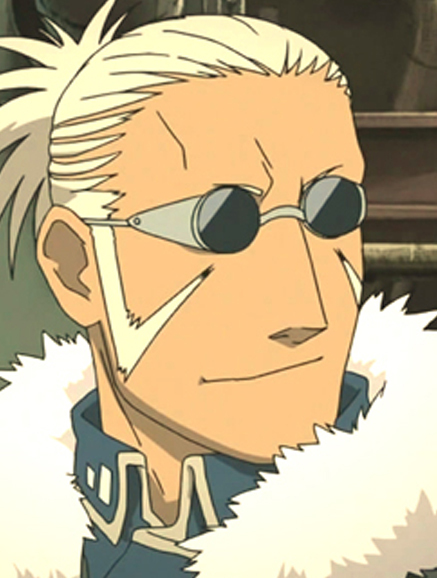 Born and raised in the Bayou Country of Louisiana, Temple is an extraordinarily diverse actor who often is compared to a chameleon: he has the unique ability to take any character and make it his own. 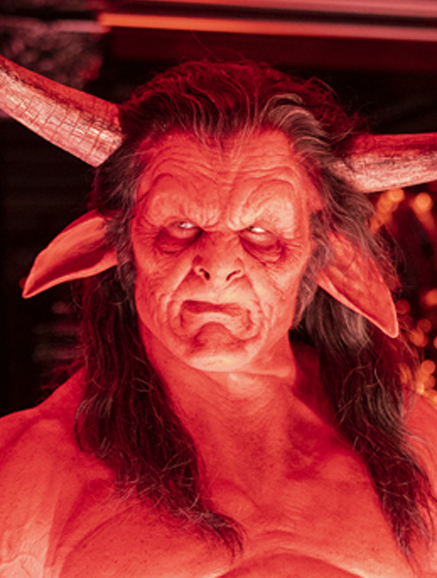 Other film credits include the ranger, Hollis in the summer, 2013 Disney blockbuster "The Lone Ranger," alongside Johnny Depp and Armie Hammer; Locus Fender in the action film "Domino," starring Kiera Knightley and Mickey Rourke, directed by Tony Scott and Rob Zombie's "The Devil's Rejects" with Bill Moseley, Sid Haig, William Forsythe, and Sherri Moon Zombie. 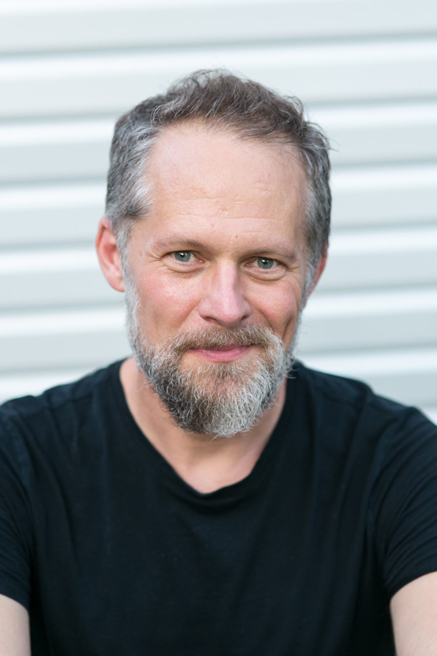 Temple began his acting career on the stage of the prestigious Alley Theatre in Houston, Texas, working alongside artists such as Vanessa Redgrave in "Julius Caesar" and "Anthony & Cleopatra", as well as acclaimed writer/directors Michael Wilson, Terrance McNally and Edward Albee. He next landed numerous television roles, as well as roles in independent and mainstream studio films, such as "On the Borderline," "The Newton Boys," and "Angels in the Outfield." Prior to acting, Temple had a Minor League Baseball career with the Seattle Mariners" and "Houston Astros." He worked his way through the Astros system to become Assistant Director of Minor Leagues and Scouting. 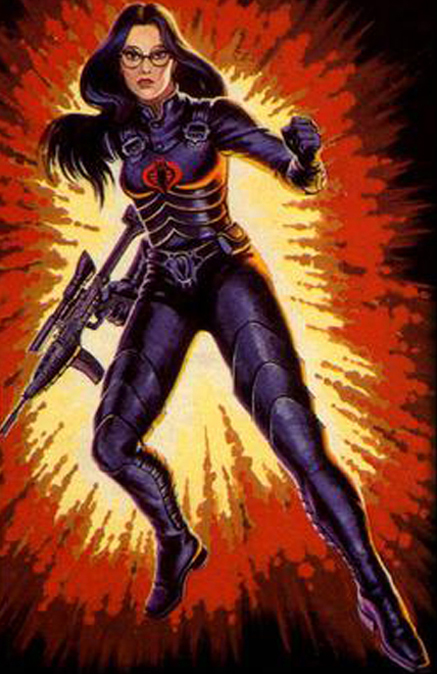 Ultracon Adds Michele Specht to the guest list! 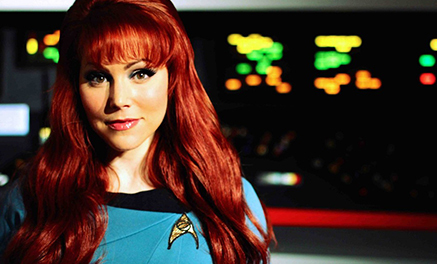 Now starring as the Starship Enterprises’ first counselor Dr. Elise McKennah in the multi-award winning series “Star Trek Continues”, Michele Specht is also known to Sci-Fi fans as Loriss in ‘Star Trek: Online’, insane bounty hunter Red in the “Fallout: Nuka Break” film and 2 season web series, and as Betty the Personality Core in the Portal based series “Aperture R&D”. Michele has voiced roles in several video games including “Final Fantasy XIII” and “Dynasty Warriors 7&8”, in some of Anime's best loved shows including “Ouran High School Host Club”, “Claymore”, and “Tsubasa Chronicle”, in animated films like Dreamwork's “Madagascar: Escape 2 Africa”, and in animated series like Cartoon Network's “MAR”. Michele’s TV work includes “CSI: NY”, Disney's “Kickin' It”, and her long running sit-com series role as Katie in VH1's “I Hate My 30s”. Feature film work includes “The Last Godfather” with Harvey Kietel, “Politics of Love” with Loretta Divine, and “The Columbian Connection” with Tom Sizemore. Michele began her career with classical training, earning degrees in both Theater and Classical Music, but her Los Angeles career started in sketch comedy. While currently making a living in TV/Film/Voice Acting, she first spent 8 years creating and performing original characters, musicals, and short films for comedy venues around LA and beyond - including the HBO Comedy Workspace and national comedy festivals. She lives in Los Angeles and spends most of her time on set being told: “GREAT - now take it down a notch”. Ultracon has signed Chris Doohan! Christopher Doohan was born on June 28, 1959 in Toronto, Ontario, Canada. 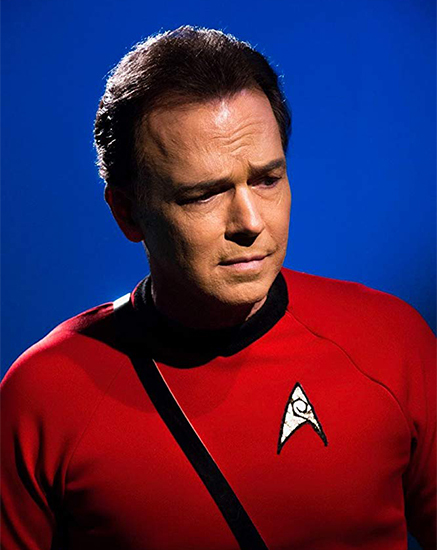 He is an actor, known for Star Trek: Into Darkness (2013), Star Trek Continues: The Vignettes (2012) and Star Trek Continues (2013). 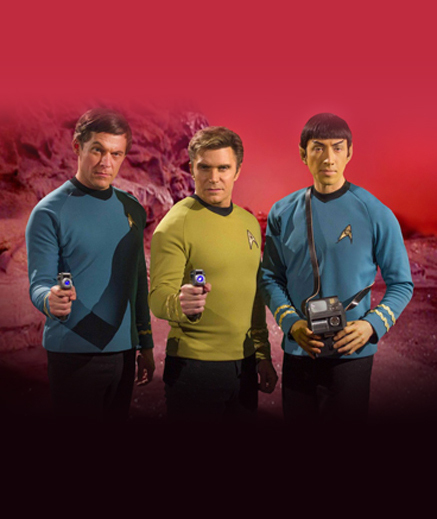 Son of actor James Doohan and Janet Young; twin brother of actor Montgomery Doohan. Stepson of Wende Doohan. Chris is the lead singer of the LA-based band, "The Muddflaps". His band was in both seasons of Breaking Bonaduce (2005). 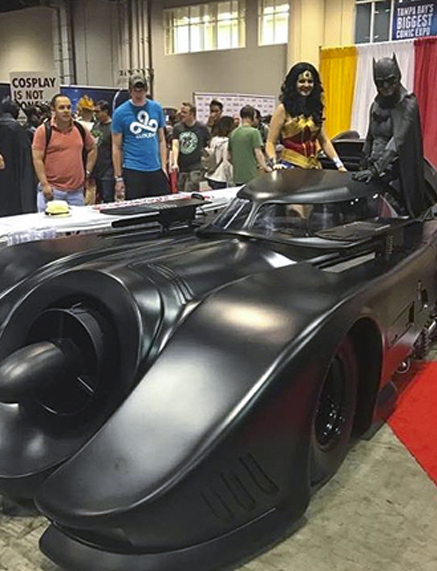 Holy Batman! We've added Athena Finger! 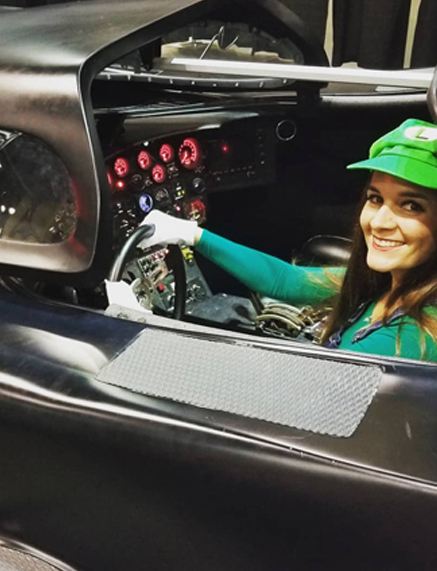 Artist Athena Finger fought for her grandfather, Bill Finger, to receive Co-credit recognition and won in 2015. She has been actively attending conventions to tell Bill's story and showcase her artwork. 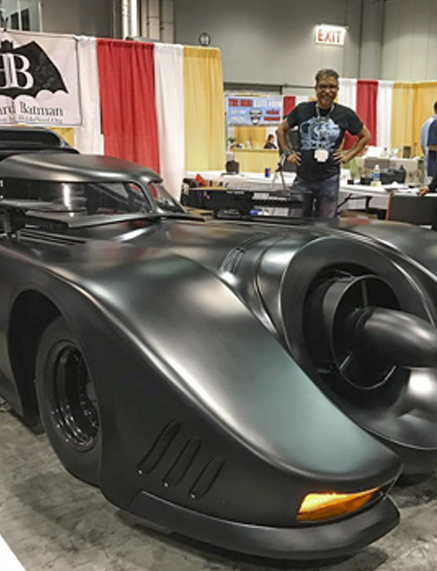 She was also featured in the Hulu documentary Batman and Bill sharing her family story how this injustice followed four generations and was finally resolved with his name being attached to the Batman name. She is a supporter of local art and the arts in schools. 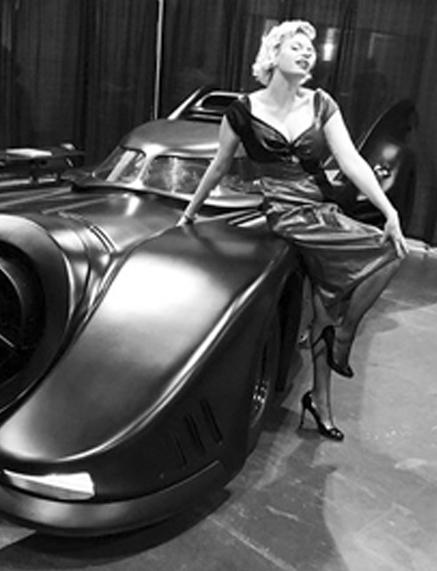 She also is a co-presenter of the Bill Finger Award at the Will Eisner Award Ceremony at San Diego Comic Con. 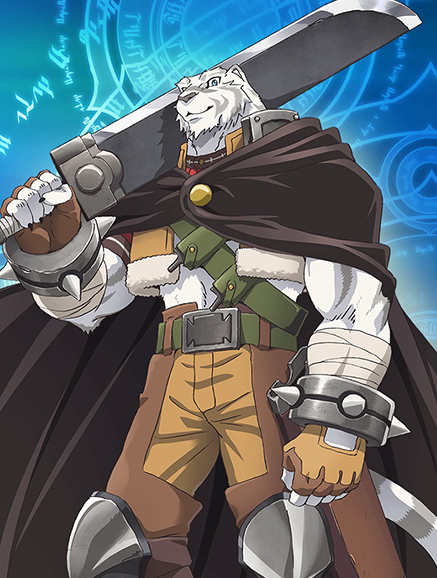 Well, look who's cast himself into Ultracon history! 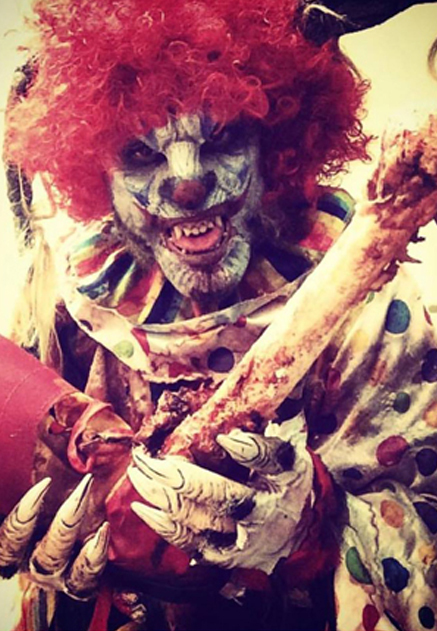 Omar Sfreddo is the Art Director for an event company in Deerfield Beach, FL. 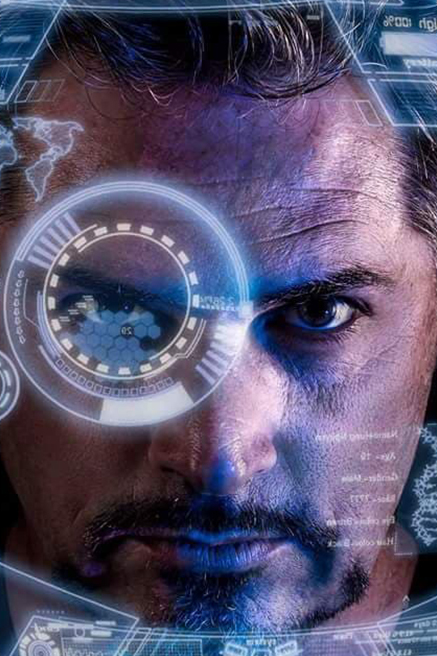 Before settling down in Florida, he graduated from the Art Institute of Pittsburgh with a focus in special effects makeup and used the skills he learned on Hollywood projects like Blade II, The Chronicles of Riddick, Sky High and The Last Samurai. 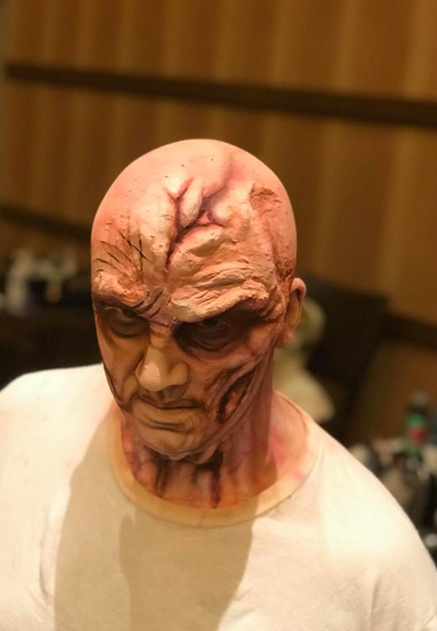 In addition to his current day job, Omar is currently working on his own line of masks and freelances in body painting and airbrush tattoos. What's that? A bird? A plane? NO! That's Super Dave Cosplay! 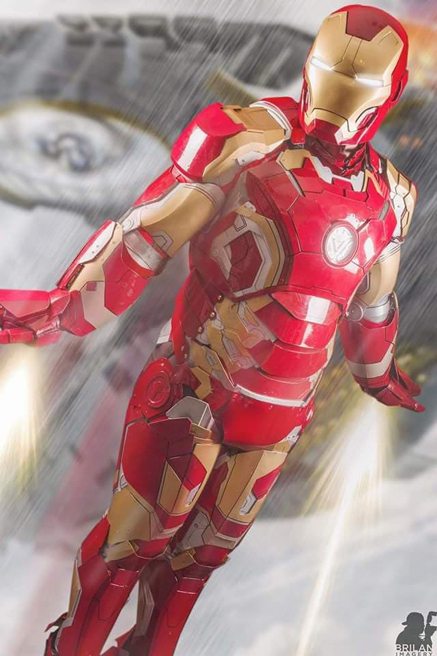 Super Dave Cosplay is best known for cosplaying Tony Stark/Iron Man. 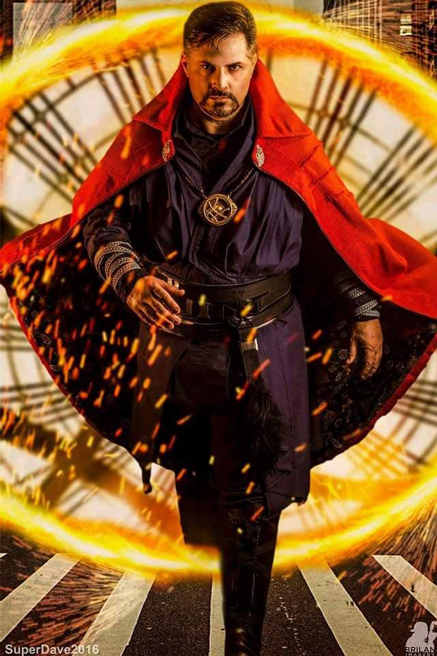 His other cosplays consist of Doctor Strange, Star Trek Imperial Klingon, Star Wars Stormtrooper, Rebel Scarif Marine, Grey Jedi, Ghostbuster and a Renaissance King just to name a few. 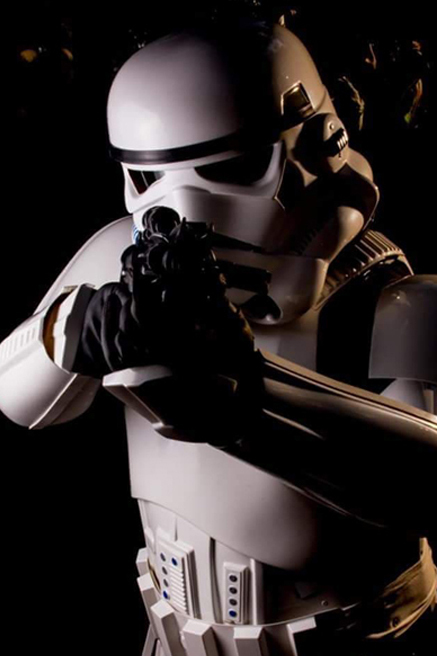 He is involved with the 501st and Rebel Legion Star Wars groups, Costumers with a Cause and newly created Orange County Ghostbusters of Florida that is also part of Ghostbusters Franchise Worldwide and several other groups involving kid encounters and private functions. 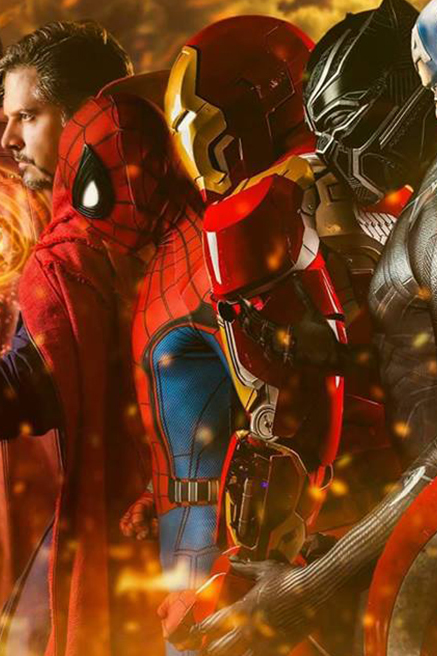 He also does prop building, 3D printing, crafting, armor building, electronics and engineering designs. Dave has been a guest at several conventions and been a guest judge from time to time. 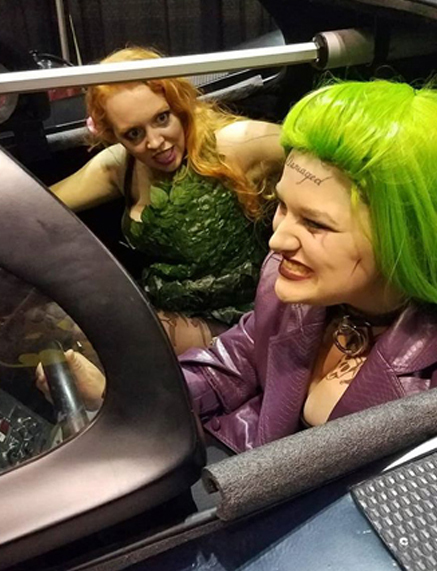 He helps new comers to cosplay as much as he can and give tips and tricks of the industry to do things on a budget & fix things for others when they're in need. 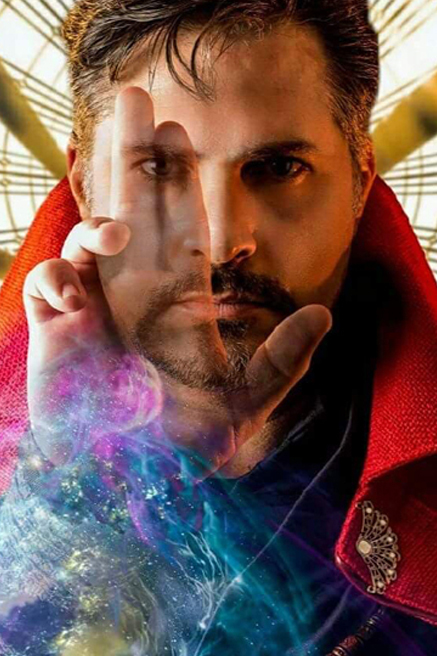 His 2 philosophies in cosplay are... 1. Don't just make up your face...make up your mind. 2. There's no such thing as strangers...only friends I haven't met yet. 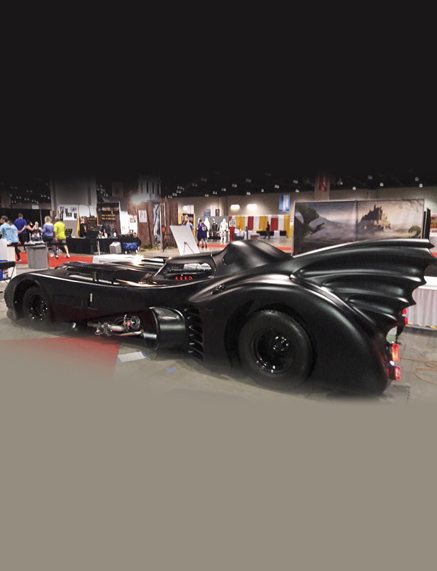 Copyright © Ultra Con of South Florida | Super Toy Show Events. All Rights Reserved.